With proper sanitation practices and preventive pest maintenance carried out at your property, you can prevent all mishaps caused by pests. However, being keen to pests that attack in summer is essential to help you prepare for the right measures you can do at home to avoid future pest infestation. Cockroach – Despite what season there is, a cockroach can be active all year round. However, during summer, they become more aggressive as they appreciate the warm weather and the ‘heat wave’ that comes during summer. The presence of warmth is ideal for reproduction when these critters find potential mates and reproduce many nymphs that can rapidly develop into adulthood. Fleas – Fleas do come in huge numbers, especially during the summer’s ‘heat wave.’ The warm weather makes the insect and both their eggs and larvae mature faster, compared to slow maturation during winter. They are after human pets and animals and would preferably target ones with bright furs. They can be hard to spot and kill, so considering a professional pest control completed at your property is highly essential. 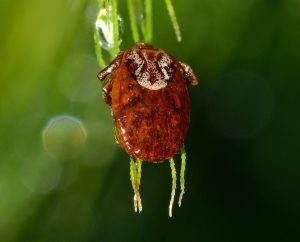 Ticks – Ticks have caused significant health problems not just among Australians, but among hundreds of thousands of people in the world. They are vectors of the widely-known Lyme disease and have caused severe meat allergies to some unfortunate people. They can directly stick to the unsuspecting person once one passed by thick bushes and grasses. Advice to prevent tick bites: avoid walking or hiking through tick-infested areas. Mosquitoes – Mosquitoes are one the most dangerous pests in the world. They carry the most of deadliest diseases including Zika virus, Dengue fever, and Malaria. Attacks would begin in spring but worsen during summer. The eggs will hatch, causing the population to balloon. Most species would mostly feed on animals, but they are profoundly disturbing to humans as well. Ants – Ants have a considerable population in Australia, which also blooms during summer. They are common outdoors, but they can get indoors as well, especially if there is a potential source of food and an ideal place for a new colony. Cleaning up leftovers is a must if you don’t want to attract them into your house. Flies – Flies are both annoying and dangerous. Their worst feeding habits (feeds almost on anything) makes them highly hazard to human health. With this bizarre behavior, flies will often carry germs around their bodies and can pass it on instantly if they landed on your food. Possums – It can be potentially risky and quite a handful when possums invade your property. During summer, possums will then find places for their nests, and a house’s attic or under decks is an ideal spot. They create messes through their feces, make noises, and can even cause accidents through sudden bites as a form of defense mechanism. By preparing in advance, you can keep all these unwanted pests at bay. Have a pest control professional complete a thorough pest inspection at your property to check for signs of pest infestation, as well as give you the safest and most comprehensive pest treatments to solve all your pest issues. Worried about pest this Christmas? Pests are not just putting your summer goals at risk, but as well as your Christmas memories. Any sight of pests can be disturbing to anyone; you can’t risk having these uninvited guests invade your holiday celebration. At Trusted Pest Management, we work closely on keeping you stress-free by keeping pests of all sorts away from you, your family, and your property. For inquiries of our available services (pest control Brisbane and pest control Sydney), don’t hesitate to give us a call today!